The most important role that retailers have played in the millet revolution, which is still in its infancy, is to make the movement more visible. Visit a supermarket in any of the metro cities and chances are there will be an aisle, or at least a shelf, dedicated to these indigenous grains. Visibility is key. People who know their grains will buy them anyway but if you put millets on display, they might get picked purely out of curiosity. “I think what many retailers are noticing today is that you don’t need to put sugar or salt, wheat or rice on display. People will buy them anyway. 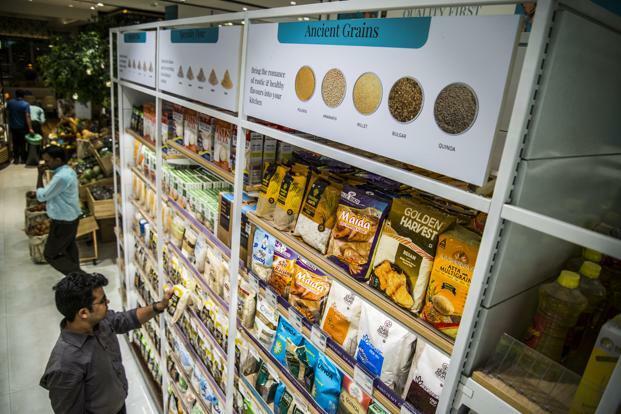 But putting millets on display will have a huge impact on their sales,” says Sanjeev Azad, director at Conscious Foods, a brand that sells organic natural food products. Azad says the company’s numbers show that the annual sales growth of millets is higher than that of wheat and rice. “Almost twice the rate of wheat and rice,” he says, without divulging details. “A lot of companies have launched different variants of millets to cash in on the increasing popularity of the grains,” he adds. The area under millet cultivation in fiscal 2017 stood at 14.72 million hectares, compared with 36.90 million hectares in 1955-56. This decline is largely attributed to the Green Revolution resulting in changed dietary habits, a cultural bias against millets, low yield and a lack of research on millets. But in the past decade, as people have become increasingly aware about the food they eat, there has been a steady, albeit slow, rise in the consumption of millets. The Union government has declared 2018 as the Year of Millets. Flour as a category grew 14% between September 2017 and August 2018 at Future Retail Ltd, which runs retail chains such as Big Bazaar, according to a previous Mint column. The interesting part about the data is that while traditional staples like besan (gram flour), maida (refined flour) and rava (semolina) grew at a mere 5% in this period, “other flours”, including chana sattu, ragi, makki, jowar, bajra, urad dal flour and moong dal flour, grew by 66%. Aggarwal says Foodhall has dedicated a section in its stores to gluten-free products and also launched their own brand called Small Traditions. “We have our own line of alternate grains. Indigenous grains contribute about 15% to our overall staples category. This is expected to go up to 20% by end of this fiscal year. Fabindia, which sells a variety of items from grains to garments, was one of the first retailers to introduce certified organic grains and value-added products. Earlier this year, they introduced foxtail, kodo, proso and little millet (samai) in their stores. “Customers are still exploring other grains but the good thing is that customers across different markets across India are now more open to trying different types of grains, which were earlier restricted only to regional usage,” says Captain Ashima Agarwal, head of organic foods, Fabindia. “When it comes to sales, we have noticed that grains like ragi and amaranth are more popular compared with other millets,” says Agarwal. And even as Indians go back to their roots to rediscover this grain, retailers are making sure they don’t miss out on the Millets’ Story 2.0.